With all windows sealed, and a stream of fresh, filtered air at just the right temperature entering through a special duct, the world’s first air-conditioned automobile recently made its debut in a successful test run on New York City streets. It demonstrated a remarkable new system that promises all-the-year-round driving comfort, regardless of summer heat or winter cold. Air is drawn into this system through a concealed inlet, filtered to remove dirt and dust, blown over coils that chill or warm it as required, and admitted through grills to the car’s interior. Cooling is effected by a refrigerating compressor beneath the floor boards, resembling that of an electric refrigerator, which takes its power from the car’s generator or may be run from a special battery. To heat the air, hot water is circulated through the coils from the car’s radiator. The air-conditioning equipment may be turned on or off at will from the instrument board or rear seat. Since the windows of the car are kept closed, outside noise is excluded. 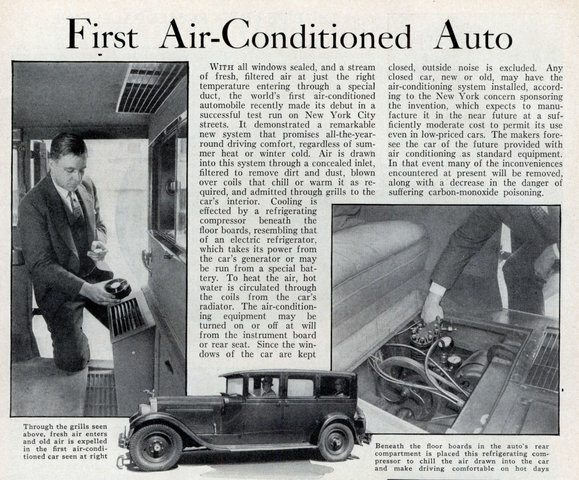 Any closed car, new or old, may have the air-conditioning system installed, according to the New York concern sponsoring the invention, which expects to manufacture it in the near future at a sufficiently moderate cost to permit its use even in low-priced cars. 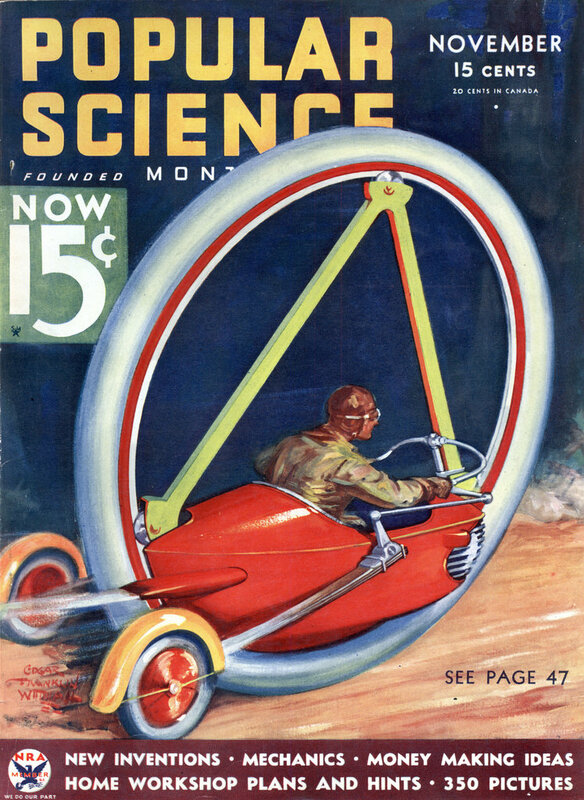 The makers foresee the car of the future provided with air conditioning as standard equipment. In that event many of the inconveniences encountered at present will be removed, along with a decrease in the danger of suffering carbon-monoxide poisoning.